On July 7, 2018 at approximately 12:03 am, a person lying in the northbound lane of 41 South in front of Club Rodeo was run over by an unknown sedan. The victim was pronounced deceased at the scene. The Florida Highway Patrol is currently investigating this case and is requesting information from the community. If you have any information regarding this case and would like to remain anonymous, please contact Crime Stoppers of Columbia County at 386-754-7099 or submit a web tip. You can also send a mobile tip using the P3 Tips mobile application. If the information you provide directly to Crime Stoppers leads to an arrest, you may be eligible for a reward. On June 27, 2018 the Columbia County Sheriff’s Office received a report of a robbery at the Subway in Fort White, Florida. An unknown male entered the store carrying an unknown make and model handgun. The subject then forced workers to remove the majority of the money from within the cash register and give it to him. The subject then left the store driving a dark in color SUV. The subject vehicle traveled South on US Highway 27. Columbia County Sheriff’s Office Detectives are requesting assistance in identifying the subject pictured below. 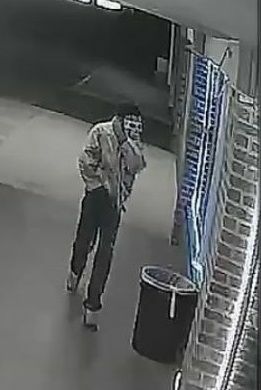 If you have any information which pertains to the identity of this subject, or any information pertaining to the robbery itself and wish to remain anonymous, contact Crime Stoppers of Columbia County at 386-754-7099, submit a web tip or submit tips anonymously using the P3 Tips mobile app. *To be eligible for a reward, you must contact Crime Stoppers directly and submit an anonymous tip. Crime Stoppers will not pay a reward for information that has already been provided to law enforcement. On Friday, June 15, 2018, approximately 20 minutes after midnight, the Lake City Police Department responded to the intersection of NE Trinity St. and NE Catawba Ave. regarding a report of shots fired. Upon arrival, officers found a male subject lying nearby face-down. Officers attempted first-aid and EMS responded but pronounced the subject deceased. The subject was identified as Curtis Nathaniel Simmons (2/12/1971) by family members who were on-scene. Investigators at the scene conducted interviews but none of the people in the area had any information to provide about the incident. The Lake City Police Department is asking for the community's help in solving this crime. 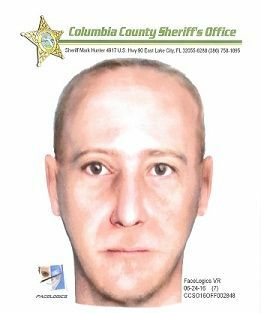 If you have any information on this homicide and wish to remain anonymous, you are asked to contact Crime Stoppers of Columbia County at 386-754-7099 or submit a web tip. You may also submit your information anonymously through the P3 Tips mobile app. On Monday, August 28, 2017, at approximately 11:11pm, Officer Rebecca Miles with the Lake City Police Department was patrolling the neighborhood near NW Lake Jeffery Dr. and NW Ashley St when she heard the sound of gunfire. The officer moved towards the sound of the gunshots to investigate and found a deceased subject in the roadway. The body appeared to have been struck by a vehicle in addition to being shot. The deceased has been identified as Johnathan F. Ferkin (4/26/1993), a work-release inmate assigned to Bridges of Lake City. Anyone with information on this case is urged to report the information to Crime Stoppers by calling 386-754-7099 or submitting a web tip. You may also download the P3 Tips app on your iPhone or Android mobile device. On Sunday, August 13, 2017, at approximately 10:32pm, the Lake City Police Department responded to the area of NW Alma Ave and NW Jefferson St after reports of a gunshot in the area. An anonymous person in the area told a responding officer that someone was lying on the back porch of 742 NW Alma Ave. There, officers discovered the body of Brittney Breshawn Graham, who had suffered a gunshot wound. Century EMS responded to the scene and declared her deceased. Anyone with information about this crime is asked to contact Crime Stoppers at 386-754-7099 or submit a web tip. You may also download the P3 Tips app on your iPhone or Android mobile device. On August 8, 2017, another CCSO 2017 Ford Explorer marked patrol vehicle was burglarized in the County Club Road area in Lake City, Florida. The back windshield was shattered and the suspect(s) stole an Anderson AR-15 .223 rifle, several rounds of .223 and .40 caliber ammunition, a camouflage Woodland backpack and an Italian bayonet. Let's get these guns and ammunition off the street and back into the hands of law enforcement! Contact Crime Stoppers if you have any information that may help solve this crime. On August 4, 2017 a Columbia County Sheriff’s Office 2017 Ford Explorer marked patrol vehicle was burglarized at the Windsong Apartment Complex in Lake City, Florida. The suspect(s) shattered the back windshield and stole an Anderson AR 15 rifle, black in color, phosphate 16-inch barrel with a carry handle and a four-position collapsible stock. 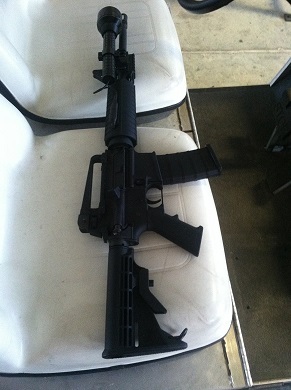 The rifle was encased in a black soft case with a 30 round magazine. Anyone with information about this crime or the identity of the individual(s) responsible is asked to call Crime Stoppers of Columbia County at 386-754-7099 or submit a web tip. You may also download the P3 Tips app on your iPhone or Android mobile device. 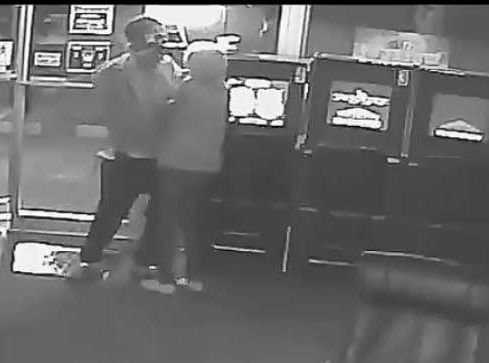 On Tuesday, April 11, 2107 at approximately 2:16 am, the Columbia County Sheriff's Office responded to the Triple Star Sweepstakes located at 1780 E. Duval Street, Suite 116 in Lake City, Florida for an armed robbery that just occurred. The cashier was the sole person in the business during the crime. 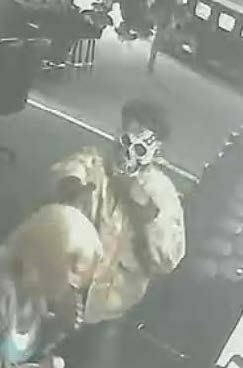 A black male wearing a light colored camouflage jacket, denim blue jeans, a white face mask and fake hair entered the business and pointed a black handgun at the cashier. The cashier went into the office area and the suspect followed. The suspect exited the business and fled on foot north across East Duval Street. If you have any information about this crime or the identity of the suspect and wish to remain anonymous, please contact Crime Stoppers of Columbia County at 386-754-7099, submit an anonymous web tip or send a mobile tip using the P3 Tips mobile application. If the information you provide directly to Crime Stoppers leads to an arrest, you may be eligible for a reward of up to $1000.00*. Over the course of the last month, an influx of stolen dirt bikes and ATV's have been reported to the Columbia County Sheriff's Office. The crimes are similar in nature in that they are occurring at residences; the stolen items are generally easily accessible; and the crime locations are within similar geographic locations. 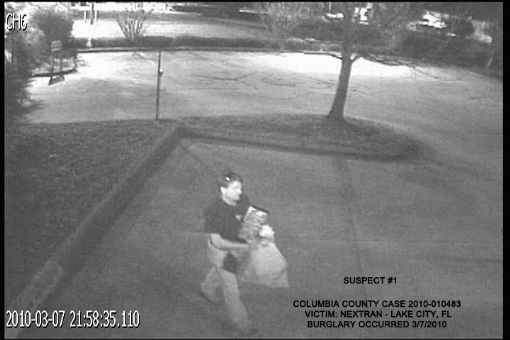 Due to the increase in crimes of this nature, the Columbia County Sheriff's Office is requesting the community's help in identifying the person(s) responsible or the recovery of the stolen item. Anyone with information about this crime is asked to call Crime Stoppers of Columbia County at 386-754-7099 or submit a web tip. You can also send a mobile tip using the P3 Tips mobile application. If your information leads to an arrest or the recovery of the stolen items, you will be eligible for a reward*. On May 12, 2016, the Columbia County Sheriff's Office responded to Norton's Home Improvements, located at 3367 S US Highway 441 in Lake City, reference to a stolen vehicle. An unknown subject(s) entered the gated area of the business and stole a burgundy/maroon 2000 Ford F350 pickup truck, towing a 20 foot tilt bed trailer, which had a 2014 John Deer Compact Loader (Skid Steer) loaded onto it. The pickup truck was last seen bearing FL tag #572 7QE and possibly had paint fading on the rear fenders. The truck has a silver diamond plate tool box and fuel tank mounted to the bed of the truck. The trailer was last seen bearing FL tag #276 3TH. The trailer did not have side rails and the floor was constructed of 2x6 boards and plywood, which is described as rotting. There is an oval sticker printed with the words "Curve Works" located on both fenders. The Compact Loader, which was loaded onto the trailer, was last seen with a bucket apparatus attached to it and also had an oval sticker printed with the words "Curve Works" located on each side of the loader. If you have any information on this case and wish to remain anonymous, call Crime Stoppers at 386-754-7099 or submit a web tip. You can also send a mobile tip using the P3 Tips mobile application. If your information leads to an arrest or the recovery of the stolen property, you will be eligible for a reward of up to $1,000*. Late Tuesday night, June 21, 2016, Columbia County Sheriff’s Office Detectives began investigating a shooting in the 300 block of SW Tommy Lites Street in unincorporated Columbia County. After the Combined Communication Center received a 9-1-1 call at 10:10 pm, deputies were sent to a call of a person shot. The initial information was that the adult victim heard a knock at the door and when he answered it, a subject shot him with a handgun. The victim stated after the shooting, the suspect, a white male adult, left in an unknown vehicle. The picture below is not an actual picture of the suspect but a composite based on the description given throughout this investigation. If you have any information about this crime and wish to remain anonymous, contact Crime Stoppers of Columbia County at 386-754-7099 or submit a web tip. You can also send a mobile tip using the P3 Tips mobile application. If the information you submit to Crime Stoppers results in an arrest, you will be eligible for a reward of up to $1,000.00*. *To be eligible for this reward, you must contact Crime Stoppers directly and submit an anonymous tip. Crime Stoppers will not pay a reward for information that has already been provided to law enforcement. Columbia County Sheriff's Office Detectives are asking for the public's help in identifying a suspect in a string of fraud cases that span several counties. On Saturday, June 11, 2016, at approximately 12:31 pm, a heavy set black male, who identified himself as Gerald Lawson, entered the ACE Hardware store located at 18112 SR 47 in Ft. White. The suspect claimed to be the owner of Lawson Construction out of Ocala, FL. He purchased a Stihl FS90R trimmer and oil with a company check. After making the purchase, the suspect left the store in an unknown year, gold Ford Instar van. If you have any information regarding the identity of this suspect or his whereabouts and wish to remain anonymous, please call Crime Stoppers at 386-754-7099 or submit a web tip. You can also send a mobile tip using the P3 Tips mobile application. If the information you provide to Crime Stoppers leads to an arrest, you will be eligible for a reward of up to $1000.00*. 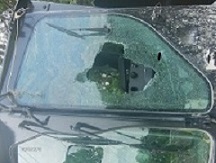 Columbia County Sheriff's Office Detectives are asking for the public's help in locating and identifying vandals that went on a destructive spree on the nights of June 8, 2016 and June 9, 2016. 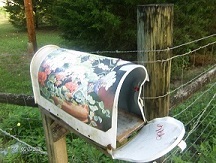 Numerous mailboxes were damaged along with county road equipment during the hours of darkness. Due to the distance involved, it is believed the suspects were in a vehicle. Most of the damage was in a large area, spanning south of US 90 west of I-75 (near the Pinemount area) down to the Ft. White area. Damages are estimated to be into the thousands of dollars. Detectives are out canvassing neighborhoods and checking video systems that may have recorded the vehicle and or occupants. If you have any information about this crime, please call Crime Stoppers at 386-758-1104 or submit a web tip. You can also send a mobile tip using the P3 Tips mobile application. You will remain anonymous and may be eligible for a reward of up to $1000.00* if your information leads to an arrest. On May 3, 2016 Columbia County Sheriff’s Office Deputies responded to the Busy Bee located in Fort White at 7905 US Highway 27, in reference to an Armed Robbery. At approximately 2:00 am an unknown white male entered the store wielding a semi-automatic handgun. The suspect was wearing a grey Under Amour hat backwards, a blue bandanna to cover his face, a pair of sunglasses, a dark jacket with a hood, black and tan work gloves, blue jeans and a pair of tan construction style work boots. The suspect is considered to be ARMED and DANGEROUS, please DO NOT approach the suspect. If you have any information pertaining to the identity of this suspect, or his possible whereabouts, please call Crime Stoppers of Columbia County at 386-754-7099 or submit a web tip. You can also send a mobile tip using the P3 Tips mobile application. You will remain anonymous and may be eligible for a reward of up to $1,000.00* if your information leads to an arrest. On Sunday, March 7, 2010, shortly after 8:00 p.m., two white males backed in a newer model white Volvo 670 or 770 truck and 53' utility refrigerated trailer up to Nextran of Lake City. Subject 1 climbed the fence and burglarized 6 customer trucks while subject 2 stayed with the truck. After the burglary, the truck got onto Interstate 75 and went north from Lake City. Below are photos of the subjects. If you have any information as to the whereabouts of these suspects, please submit a web tip or call Crime Stoppers at 386-754-7099. You can also send a mobile tip using the P3 Tips mobile application. You will remain anonymous and may be eligible for a reward up to $1000.00* if your information leads to an arrest.